It has been far too long since I have posted anything about Digital Altitude. I wanted to give you guys a quick update about what has been happening. I just got back from a trip where I took off almost a month from doing anything online at all. How did I do this? Partially due to Digital Altitude and working online. Earn Extra Money Home has grown nicely and afforded me the luxury of taking small breaks. To be honest when I take breaks I miss it, so I will be writing more consistently now. So what have I been doing? As many of you know I currently live in China. I also love to travel. This year I decided to put everything away and spend some time with those most valuable to me. My family. So I went to my hometown and spent some time with my kids and my parents. Unfortunately, my father is very ill and has to have some medical procedures. This was the main reason I wanted to spend some time there. Well here is what happened on my time off. I still continued to get sales through my website, email lists, and through YouTube. I made a conscious effort not to make any posts while I was gone or to work really at all on my online business. Before I left I bought some solo ads that have since cycled through my sales funnel and also were responsible for some income. Now that I am back, I am in the process of building a niche website that I will be putting up for sale in the next few days, or possibly a week. This has been my focus since I have gotten back. It will have around 8000 words, 3-4 pages and 3-4 review posts. It will also come with a list of keywords, some photos, a logo, premium WordPress theme, and premium plugins. The domain is a short 5 letter domain with two words. All of the content is unique. Obviously it takes a bit of time but I am hoping to have it up for sale next week. Once it is up for sale I will put a link here as well as email my list. I have also been working on an unrelated site about ergonomic products. I started this before I left on my trip but did not do anything about it when I was traveling. Now that I am back I will be working on that site too. You can check it out at ErgOffices.com. This is all part of my plan to expand my online presence. If all goes well, I will be adding a services portion to this site. Yeah! That gets me excited. To give my readers a bit of a peak behind the curtain, I am planning on making custom amazon niche websites similar to the one outline above. I will also provide a high end writing service for articles. I am in the process now of getting quality authors together that can write in a verity of niches. This is key to the program that I am planning to implement. Some people think it takes little or no work to build an online business but this is not true. It takes a lot of work. The good news if you do it correctly you only need to do it once and you will reap the rewards for years to come. I will also be personally mentoring anyone who purchases a website from me for an undetermined period of time. This blends right into my next service of mentorship. 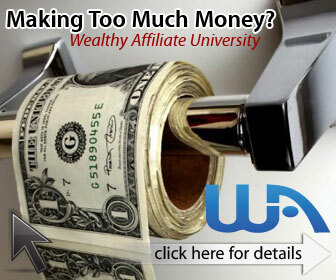 I am planning on setting up an affordable mentor program to help people out and climb that mountain of success online. It has taken me some time to get where I am today. I did not do it on my own. I needed help from others to be successful. I needed guidance. I am willing to share what I learned to help fast track you to your success. If you are interested in beta testing the mentor program, I am setting up please let me know by emailing me at Marc@EarnExtraMoneyHome.com. You can always check out my top recommendations here. I have mentioned in the article, and many others, that it takes more than just one thing to be successful. You can see all the things that have helped me succeed here. That gives you some ideas of where I am going over the next few months and the plans I have. If you have any comments, questions, or your own personal experiences that you want to share, please do so below.